JARO tub chairs come in many different styles and colours. Aged Care Tubs also available. JARO custom makes many different tub chair styles. We invite you to make a time to see more styles and fabric choices. We can help you design the perfect tub chair to suit your requirements. 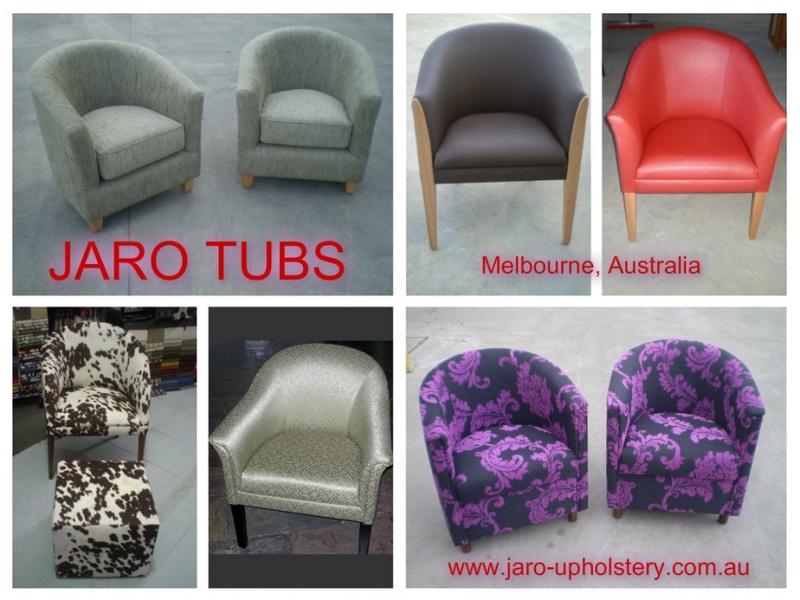 For more information or to make a time contact Robyn and Jason either via email to enquiries@jaro-upholstery.com.au or text/ring 0402 188238.